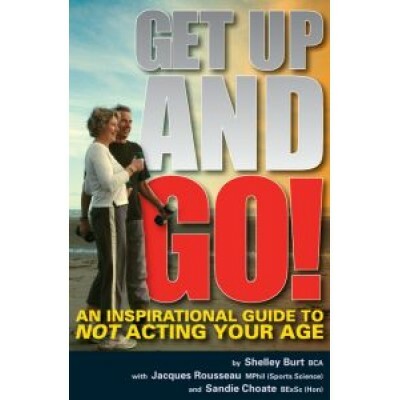 The purpose of this book is to inspire people over the age of 50 to either begin a fitness programme or take their current one to a new level. To achieve this, rather than provide detailed prescriptions of programmes with diagrams etc., the approach is by way of telling the stories of older people who are currently achieving inspirational things with their fitness, from all around New Zealand. Reading about ordinary Kiwis who are ageing actively and positively will hopefully engender a similar spirit in those who haven't quite managed to get off the couch. It is an attempt to promote, via the benefits of exercise, active ageing and personal responsibility. There is technical information, provided by experts, and a general approach to planning a fitness programme, so that people can make informed decisions and act straightaway while they feel inspired. There are also chapters on understanding fitness and cardiovascular disease, how to stay motivated and the different aspects of fitness.